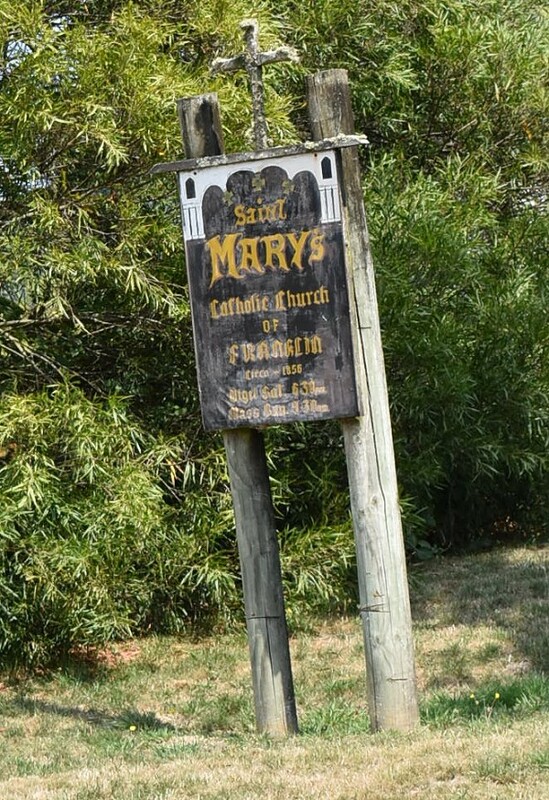 A small wooden church, adjoining and possibly just south of the current Holy Redeemer Church. Replaced in 1886. If it was to the south, that would put it closer to Parsonage St, on the left side of this photo. Possibly it was built in the 1850s. On the 13th April 1856, John Gannan (45 years, farmer, free) married Catherine Morrissey (25 years, house servant(? ), free) in “the Catholic church, Deloraine”. The new church, which will be a handsome and substantial edifice, after the style of the one at Westbury, will be almost upon the site of the old one, and is only a stone’s throw from the railway station. Main Street, Kempton. Google Maps. Open 1879. Replaced by a newer building in 1952. Mr. THOMASON, bush missionary, gave an account of his work at the Huon subsequent to the period embraced in the report. 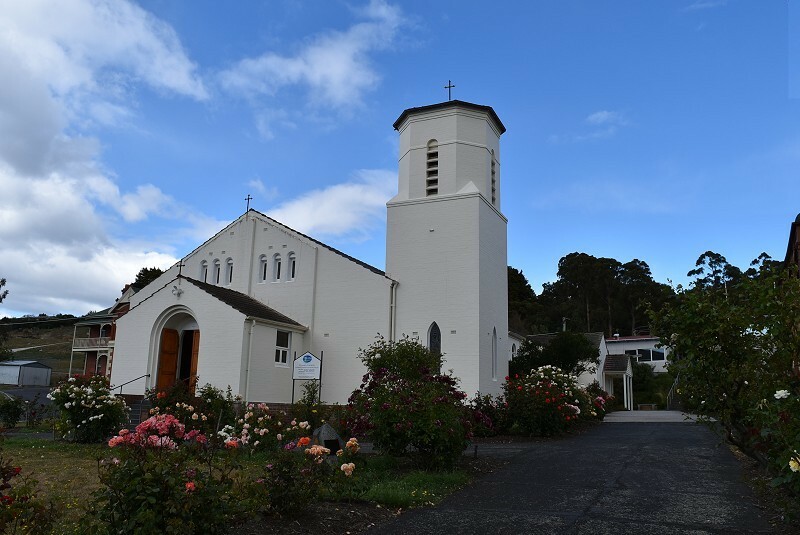 On the 10th January last he entered upon his work, and from that time to the 7th of this month—a period of a little over four months—he had preached 102 times in Franklin, Port Cygnet, Irish Town, Castle Forbes Bay, Wattle Grove, Gardiner’s Bay, Surge’s Bay, Port Esperance, Hastings, Recherche, Southport, and other places. Although the distances had been long, he had every reason to be thankful with the success of his labours. He had met with the greatest kindness and hospitality ; and he had had the happiness of seeing no less than 34 souls converted to the truth. (Hear, hear.) Some present perhaps asked what conversion meant and he might answer, what made men praying men. All the 34 persons he alluded to had, since their conversion, engaged in public prayer, and some of the young men had conducted prayer meetings and Sunday-schools. 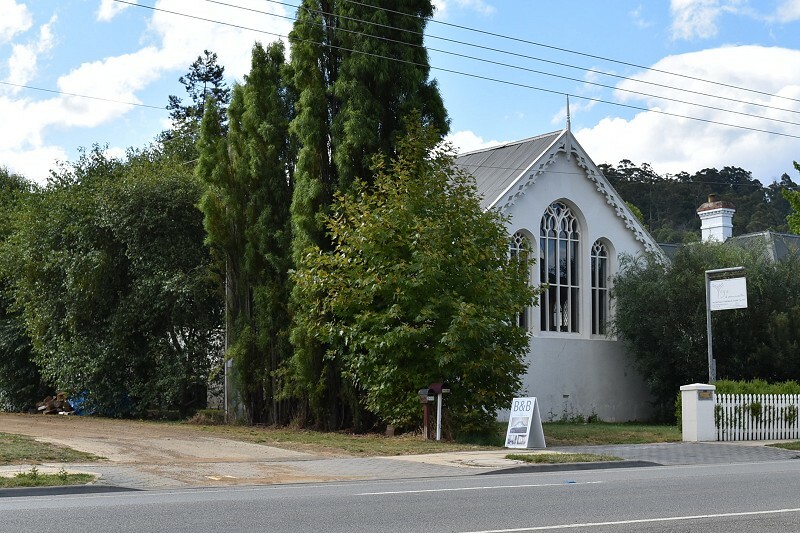 At tho Huon there were 102 members in connection with the Wesleyan Church. 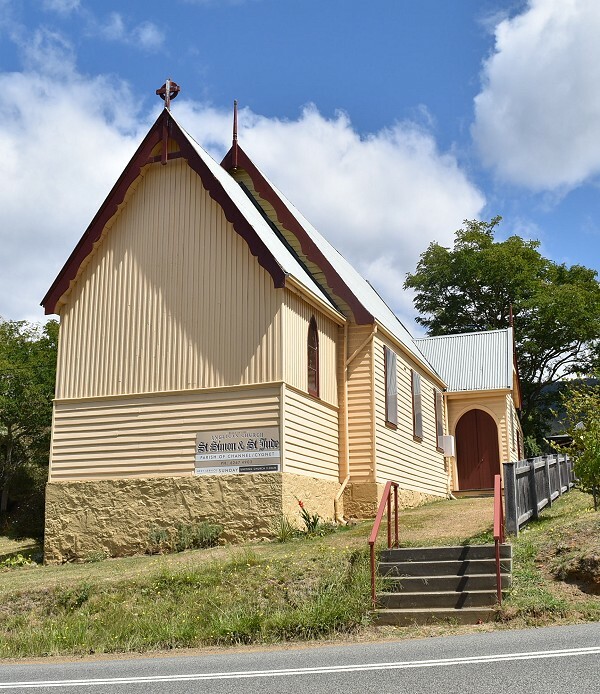 With regard to finances, he might mention that the people of Port Cygnet, Irish Town, Gardiner’s Bay, and Wattle Grove had guaranteed to provide a sum of £42 a-year towards the bush mission in the district. (Hear, hear.) There were places far better than those which did not come out in that way. 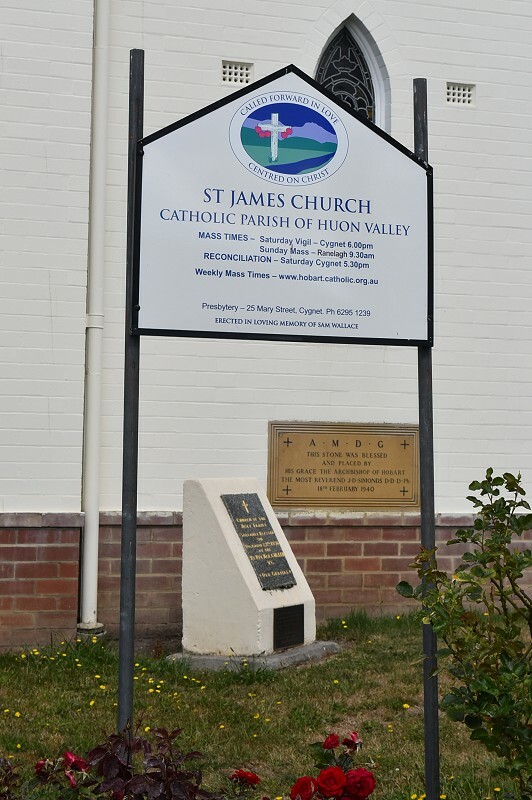 He was not able to state what the other side of tho Huon—Franklin, Castle Forbes Bay, etc.—would do, though he hoped to/be able to do so before the mission meetings closed ; but he believed the Huon district would be self-supporting, so far as the bush mission was concerned. (Applause.) As regards the attendance, the average at Franklin was 90, and at Port Cygnet, the last two or three times, there was not sufficient room for the people. The success of the work was not, however, due to him, but to men who had been labouring there for years for the salvation of souls. They had been ploughing, and sowing, and harrowing, and he had come in to help them to reap a little. Mary Street, Cygnet. Google Maps. 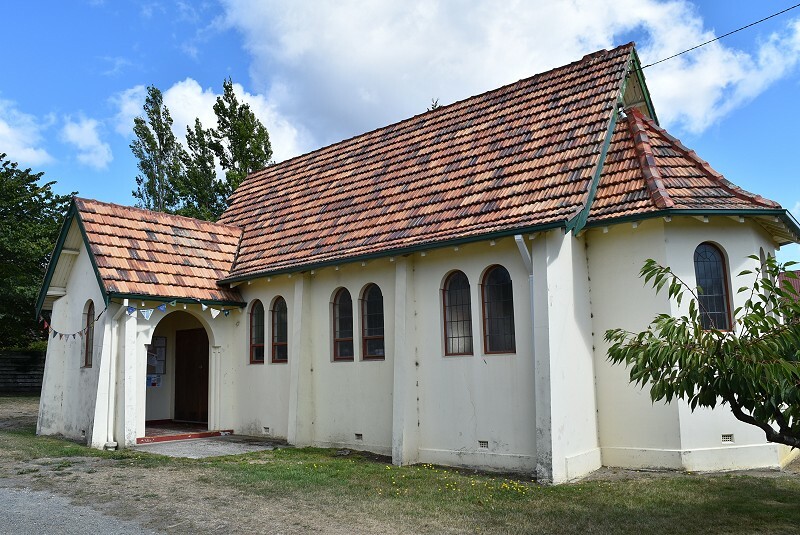 Opened 1952, replacing an older weatherboard building. Mary Street, Cygnet. 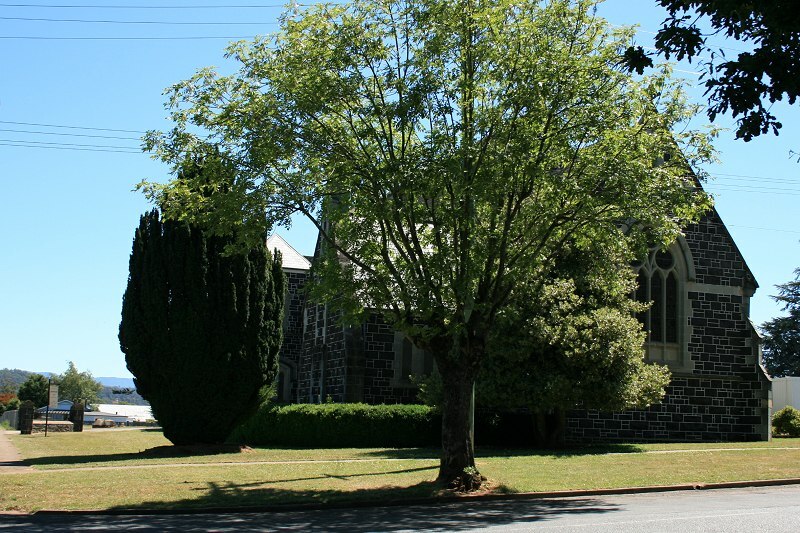 Approximate location on Google Maps (it won’t recognise the church building as an address). 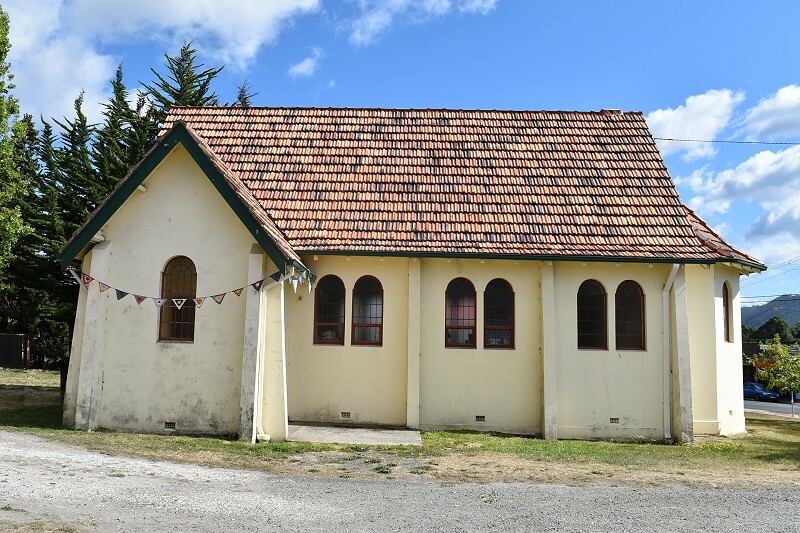 History of parish & church on Huon Valley Catholic Parish web site. 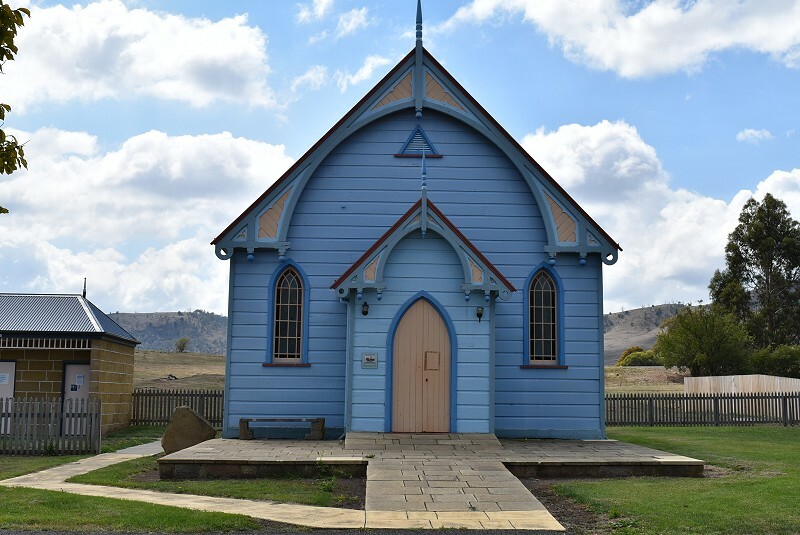 There seem to have been four Catholic churches at Cygnet. 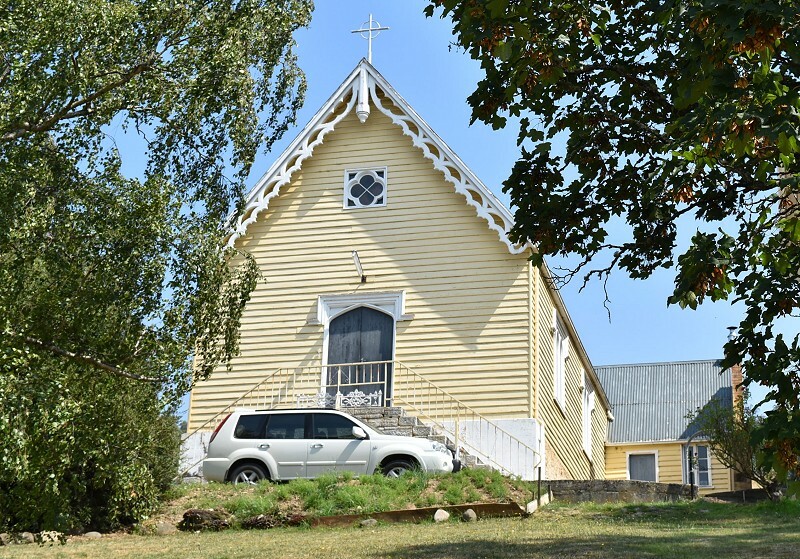 The first a weatherboard, possible temporary, building erected in the early 1860s. 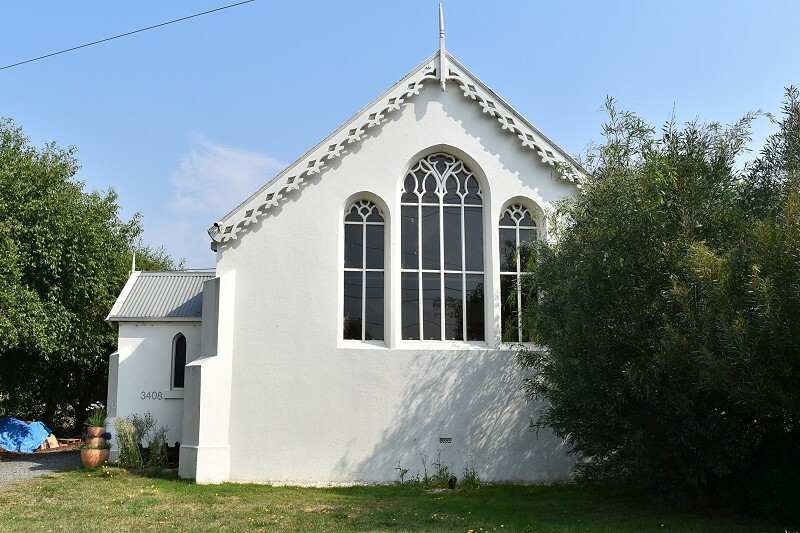 This was replaced in 1867 by a more a more substantial small weatherboard church, St James. In 1903 a stone church, the Sacred Heart of Jesus, was constructed which incorporated the older building. This was later demolished and the current St James built in 1940. 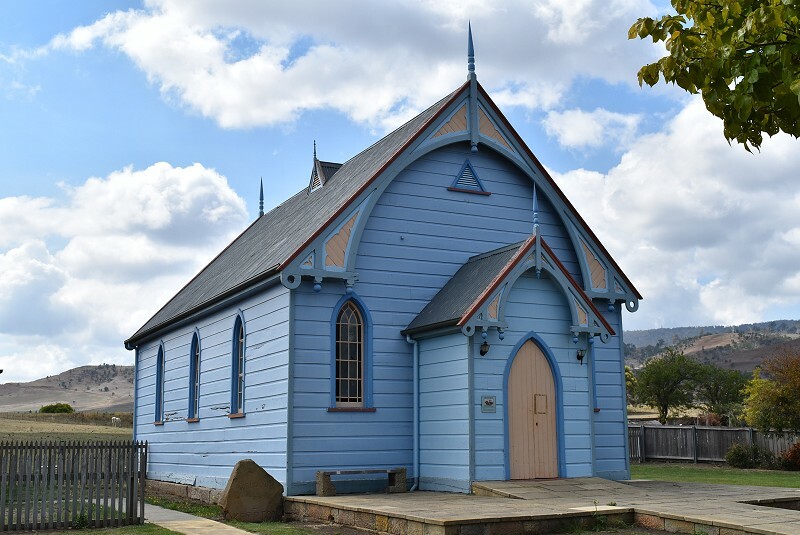 The tender of James Dunn and Son, of Hobart, at £5,656; has been accepted for the erection of the new Roman Catholic Church building at Cygnet. The building will cover an area of 120ft. by 40ft. The front will face Mary St., and the building will be of brick. Work will commence early next month. Evidence of progress is being shown by the new buildings now under construction during the past week. The old Catholic Church has been demolished and builders are busy preparing the foundation of the new church, which is to be of brick. Mary Street, Cygnet. Approximate location on Google Maps. 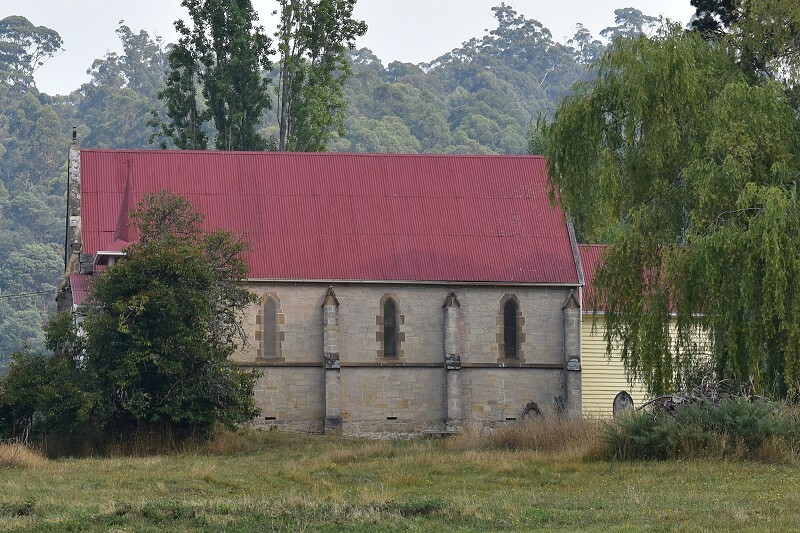 There seem to have been four Catholic churches at Cygnet. 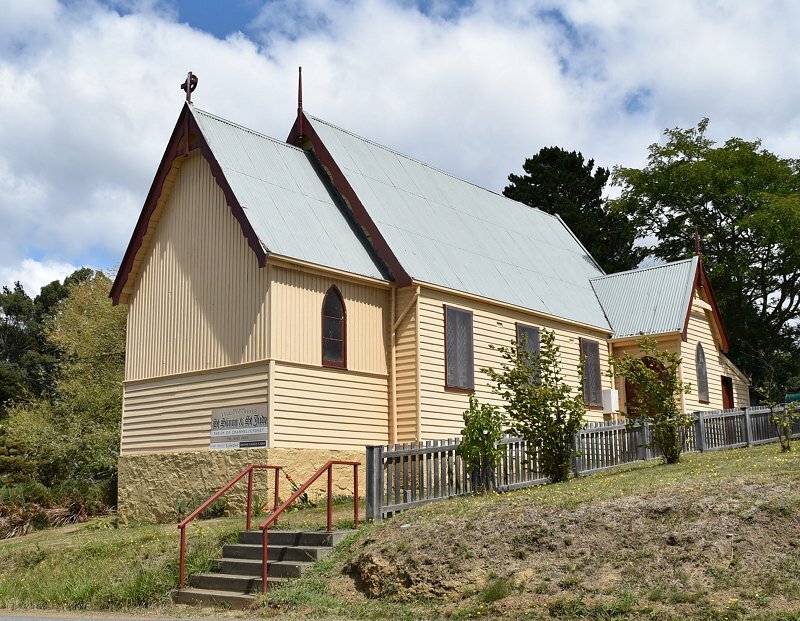 The first was a weatherboard, possibly temporary, building erected in the early 1860s. 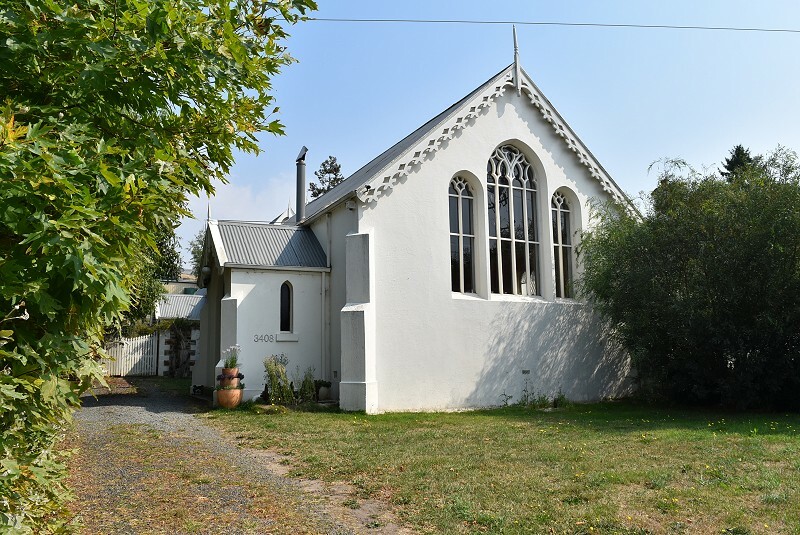 This was replaced in 1867 by a more a more substantial small weatherboard church, St James. 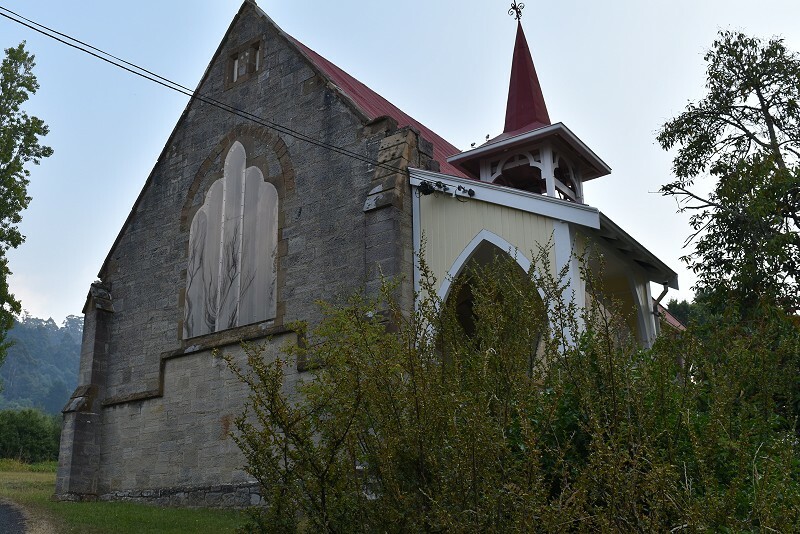 In 1903 a stone church, the Sacred Heart of Jesus, was constructed which incorporated the older building. This was later demolished and the current St James built in 1940.